One of the fascinating topics of discussion that came from last week’s ABC Songwriters’ Circle was that of the seeming proliferation of open mics in the GTA — thanks, Kayt Lucas for bringing it up. I admit to having conflicting thoughts on the subject. On the one hand, open mics were instrumental (yes, groan!) in getting me re-invested in music. Not a must had I chosen to stick to cover material—I’ve started bands and gotten gigs without that—but certainly made playing originals in front of a friendly audience far more reachable. It also hugely expanded my network of musical friends and acquaintances, particularly when I started attending not just to perform, but also to recruit acts for the songcircle. All said, very beneficial from those points of view. The flip side is that open mics don’t typically pay for the performers, expect for the hosts, and continue to reinforce the notion that music is a free commodity. I have written about that extensively, as have others, so I won’t revisit the arguments. In those situations, the performers’ only satisfaction is in the opportunity to play. Given the large number of talented players and the dearth of venues, this can create very strong feelings with some performers as they sit and wait for their turn, albeit enjoying others on stage. Through alcohol and unrealistic expectations into the mix, and it’s a volatile situation, as was recently witnessed at a local blues jam, hosted by superb blues guitarist Mike Sedgewick. So what can be done about it? In the short term, limiting the number of open mics to encourage paying gigs sounds good on paper but simply won’t work. Right now, it’s a buyer’s market, so the terms are set by the venues and hosts. There is zero appetite for that, and it’s not likely to change anytime soon. Curating the open mics is already done as well as can be expected. It’s a huge responsibility for the hosts to manage the sometimes dozens of performers who wish to play, without bruising egos, respecting the artist’s talent and commitment, and being conscious of time constraints. 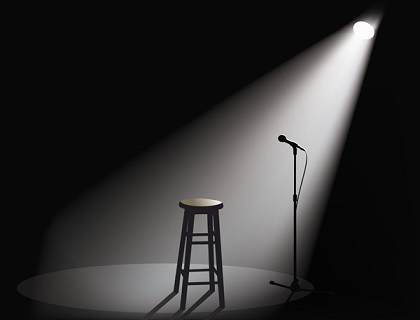 I admit to having come back from open mics disappointed with the way things went, but in almost every case, it’s because my expectations and the reality of the show were out of sync. So below are some constructive suggestions for both hosts and players, some coming from my own mistakes. I hope they will look at then in the spirit of kindness and support they are intended. After all, many of these suggestions are gleaned from their own social media posts. For hosts, manage expectations by being transparent about how the show is run. Try to be equitable in the long run, meaning that if you curate the order, rather than FCFS, if an act played late in a past show, try to put them early. For performers ( I include myself), be aware of the context of the show and the common courtesies expected. Always thank the hosts after you’ve played; link to your social media as you both benefit. I’m sure there’s more so please send me any further ideas and I can include them in a sidebar or special page down the line. The band will be performing a special “unplugged” show at a new venue for us, the Dock on Queen this coming Friday, May 4th from 8 – 10 PM. We have been working hard on reformatting the songs for acoustic, so this promises to be an extra special performance. We are very excited about the changes it makes to the sound and invite everyone to come check this out, and the beautiful surroundings of this licensed café. Last week, the songcircle was on my birthday and I am hugely grateful to my guests for inspiring songs: guests Frank Patrick especially considering how sleep deprived he would be the next day for an early start at work, Kayt Lucas who provided so much inspiration for the discussions and K Lee Wilde who brought out a fun and attentive group of friends. Nice hat too! Thanks to family and friends who continuously support this ongoing adventure and a tip of my hat to the exotic dancer who made my birthday an event to keenly remember. You HAD to be there! This week for show #25, I welcome singer and songwriter Amber Durette accompanied by guitar whiz kid Alex Matthew, energetic pop/rock act FourOneSix’s front man Brent Lunney, and roots/Abénakis/French-Canadian influenced performer Mimi O’Bonsawin. Songwriters! Now Booking for July! If you want to be part of this, email me at ABCsongcircle@icloud.com for more information. Please include an artistic biography and links to demos or performances online. I hope you will make it down for this excellent group of artists. Good food, drink and music await and no cover! Things have been busier over the last few weeks here at ManCave Studio. Besides working on my own songs, I have had the great pleasure to record good friends Sal Indigo, Gary Edward Allen, Susanne Maziarz and Steve Koller (aka Houndbelly and formerly Three Minutes to Forever), and Leanna Yamada with Chuck Majic and band. Leanna has also recorded most recently some simple solo demos of her own compositions. I want to thank all of them for putting their trust in me. It has been a great learning experience as I perfect the art and craft of recording. I am also looking forward to a visit for a producer I hugely admire, Rob Greenway (Brillianfish) for some insights and valuable pointers. These demos are still being tweaked so not ready for release, but I hope to be able to provide links to them in the near future. Last Tuesday was a lite version of SWC #23, as we were only three and the club needed to close early for renovation work. We all enjoyed great songs from my guests Andrew Mazzolin and Chris Willson, and some lovely interactions with audience members! Thanks all! Songwriters! Now Booking for June! If you want to be part of this, email me at ABCsongcircle@icloud.com for more information. Please include an artistic biography and links to demos or performances online. This week, I welcome poet, singer and mandolinist Kayt Lucas, troubadour, storyteller and songwriter Frank Patrick, and wild child Karen Wilde. It’s a special night as someone (could it be me?) is celebrating a birthday. Please come and join us at the Amsterdam Bicycle Club. Until then, be well! Last night, Félix & the Cats played the first show back at the Black Swan in over 2 years. I want to thank fans, friends and family who came out to support the band, in particular Jen who helped out with the tip jug. It made a big difference. Huge thanks to Carlo on sound and co-owner Bill for his understanding and generosity. It was only our second gig in the new format, and new drummer Chris Bender brought an extra level of fun and energy that was the perfect addition for the band. I haven’t since bassist NeMo this enthusiastic about a project in a long time. The extra vocals added a massive layer to the sound. I’m chuffed. Our next FatCats shows will be an “unplugged” show at the Dock on Queen on May 4 (it starts nice and early at 8 pm so no excuses for early birds! ), then back to the Amsterdam Bicycle Club for the regular electric format on May 26. A lovely evening of laughter and song! Thanks to my guests Boris Buhot, George Lazarus and Mary Ocelot Stewart for taking time from busy lives to be part of this show. I hope you has as much fun as I did. Also much gratitude to the friends – Dean McKinnon, David Macmichael, William Meadows, Chelsea Imogen, Tyler Ellis, Wilde Lee Karen, Chris Willson, and … apologies if I forgot anyone! – who came out on a rainy evening to encourage us (and to sit in – thanks David! ); it was truly appreciated! This week, I welcome writer and bike enthusiast country-folk singer-songwriter Todd Aalgaard , folk-pop singer-songwriter Justine Giles and indie rock songwriter Shannon Roszell. It bodes very well! Please join us this coming Tuesday, starting at 9 PM at the Amsterdam Bicycle Club. We would be happy to have your company! I am considering retirement after this actual windfall tip donation for four of us at a recent show, shown here. Some will go towards guitar picks and the rest I am considering as a charitable donation to the Toronto Musical Indifference Society. Please enjoy this first of April day! The night of the Major 7th! Thanks to last night’s talented performers, Daniel James Clarke, Sahel Usin Rojas and Tara Smylie for a amazingly diverse set of songs. Everyone brought an truly different approach to songwriting despite the occasional common above-mentioned chord, which was the unifying thread perhaps. This never gets old! This week, I will welcome Boris Buhot, George Lazarus, and particularly Mary Stewart who, as an experienced song circle host, provided me some very good advice when I first started this weekly event. I hope I live up to the standards of her shows. For those who know me, or simply check out my Facebook profile, you may be aware that my birthday is fast approaching. So what better way to celebrate that than to come to the next Félix and the Cats show at the Black Swan this Saturday, April 7 at 9:00 (no cover – pay-what-you-want). We hope to see a good bunch of you there and appreciate the support!